Author: Obama, Barack Set In . . . Description: In this lyrical, unsentimental, and compelling memoir, the son of a black African father and a white American mother searches for a workable meaning to his life as a black American. 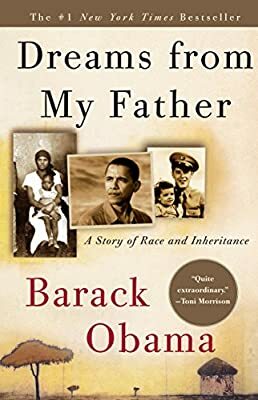 It begins in New York, where Barack Obama learns that his father—a figure he knows more as a myth than as a man—has been killed in a car accident. This sudden death inspires an emotional odyssey—first to a small town in Kansas, from which he retraces the migration of his mother’s family to Hawaii, and then to Kenya, where he meets the African side of his family, confronts the bitter truth of his father’s life, and at last reconciles his divided inheritance.